The students of Yeshiva University are using their annual Seforim Sale as an opportunity to give back to the community—specifically to Jewish organizations devastated by Hurricane Sandy. 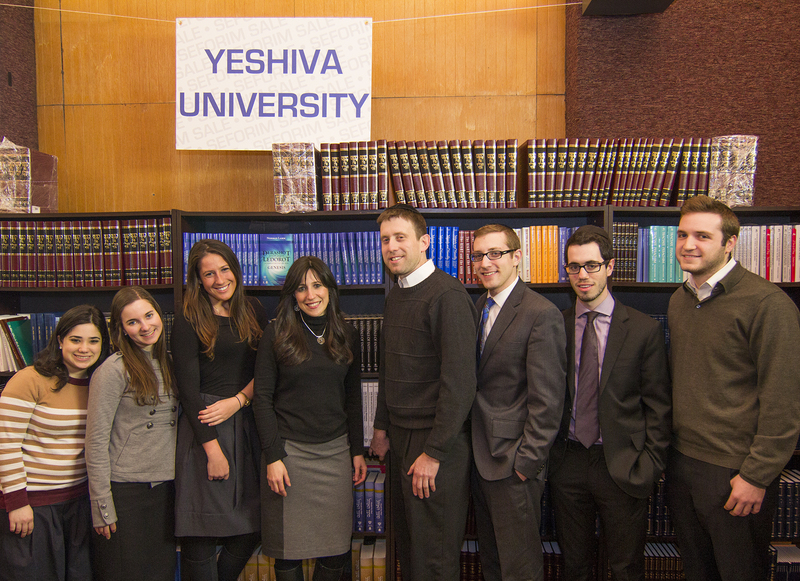 Seforim Sale staff with Young Israel of Oceanside’s Rabbi Jonathan and Dr. Yael Muskat (center). This year, as part of their Seforim4Sandy campaign, sale organizers decided to use a portion of their proceeds to help replenish a library of a shul or school affected by the storm. After a Facebook contest yielded more than 3,000 votes in two weeks, Young Israel of Oceanside was selected to receive $10,000 worth of books and seforim. Despite the heavy damage caused to his shul, Muskat ’94YC, ’94BR, ’97R, chose to split the winnings with the five other contestants: Agudas Yisroel of Bayswater, Congregation Ohab Zedek of Belle Harbor, Young Israel of Long Beach, Congregation Ahavas Yisroel of Cedarhurst and Hebrew Academy of Long Beach. 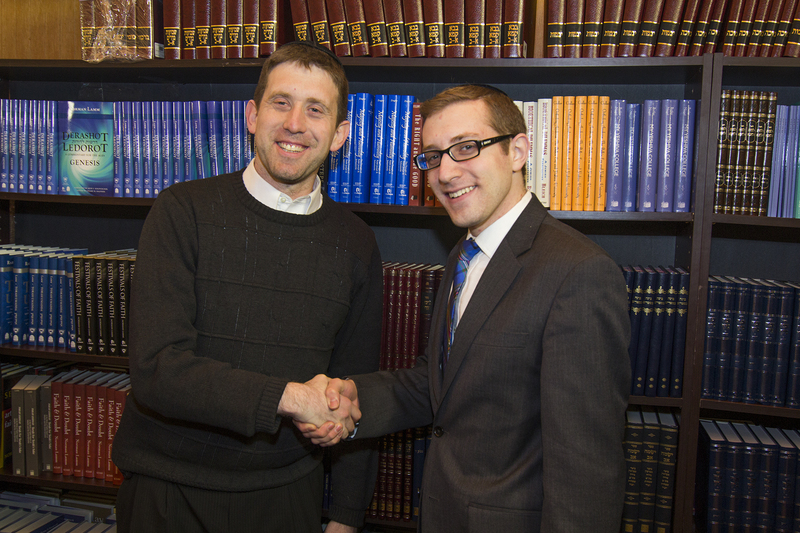 The Seforim Sale, North America’s largest Jewish book sale, runs through March 3 and is located in Belfer Hall, 2495 Amsterdam Avenue on YU’s Wilf Campus in Manhattan. The sale—operated entirely by YU students—supports various initiatives, including student activities on campus and undergraduate scholarships. For a complete listing of dates and times, to purchase gift certificates, view the online catalog or to contribute to a shul registry, visit www.theseforimsale.com.